Even with remarkable improvements in the quality and access to dental care in the last few decades, full or partial tooth loss is still a problem for many Americans. Newer options like dental implants replace the root of the missing tooth, as well as the crown, for a more permanent and secure fit that is the next best thing to a natural tooth. However, implants are typically limited to patients who meet certain eligibility criteria, such as being in general good health, and with sufficient bone density in the jaw. But dentures have been the standard in tooth replacement throughout the ages for a reason - they are reliable, effective, and designed to meet the needs of virtually anyone who needs to fix their smile, regardless of age or other circumstances. In other words, if you have gums and a face, you are pretty much guaranteed to be a good candidate for dentures! The Naples, FL-based dentists at Linden Dental, P.A. offer several replacement options for various stages of tooth loss. From emergency, same day placeholder dentures to a partial set for a few missing teeth on the upper or lower jaw, there are options for every situation. 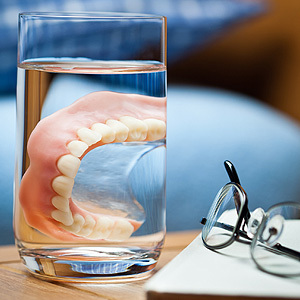 Whether you are suddenly faced with the prospect of tooth loss or are ready to restore your smile after a longer period of time, dentures can give you a new smile in the shortest amount of time. 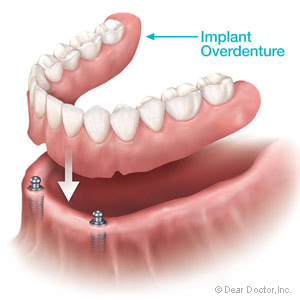 For more information on the best type of dentures for you, contact a dentist at Linden Dental by calling (239)593-0777.